It's that time again! This year I really feel like I'm on top of things and have almost all of my gifts ordered or at least wrote down as to what else I want to buy/make. My goal is to have everything finished up by December 15th so that I can have a solid 10 days to just chill out and enjoy the holiday season. Plus, the earlier that I order things, the less I stress about if they'll actually make it to me on time for holiday gifting. This year I'm really trying to shop for things that are meaningful, purposeful, and/or ethical. My goal is to gift things that are gifts that I would like to receive and that I feel confident that the receiver will enjoy and use for years to come. Honestly, the biggest struggle with holiday gifting isn't the fact that I can't think of what to buy. It's usually the fact that I have to stop myself from buying the gifts for myself along with the person that I set out to buy something for! I hope that this gift guide helps to spark an idea of what to gift to those that you care about this holiday season! I have been so into watches lately. Back in high school I used to wear a watch everyday. I always found it easier to count down the minutes in class by wearing a watch instead of trying to look at the clock on the wall every five minutes, because let's be real - it's totally noticeable when you do that and as much as I didn't like school, I still didn't want to be "that person." I'm no longer counting down the minutes in class (thankfully) but I am trying to unplug from technology more often which is a process of it's own. I'm sure that you know the struggle all too well. I find that I have an easier time doing so by channeling my inner 16 year old self and wearing cool watches that get me excited to leave my phone and look at my wrist instead. JORD has women's wooden watches, which is pictured above and so cute!! 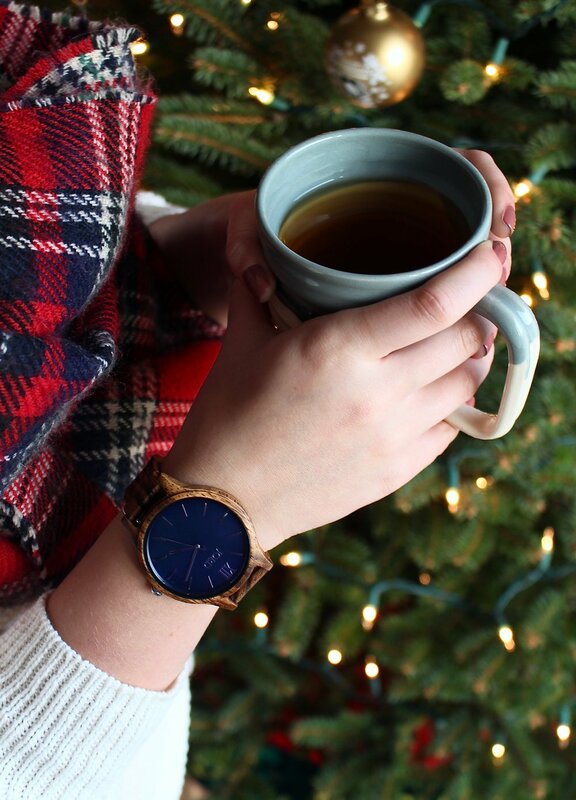 As well as men's wooden watches, making them a go to gift for anyone on your list. There's just something about wood watches that catch my eye and make me fall in love with them. They're a great way to gift something that is practical and quality, making it a gift to remember for years to come. Oh, and I forgot to mention that you can get your wood watch engraved with a special message for that lucky person in your life. So fun! 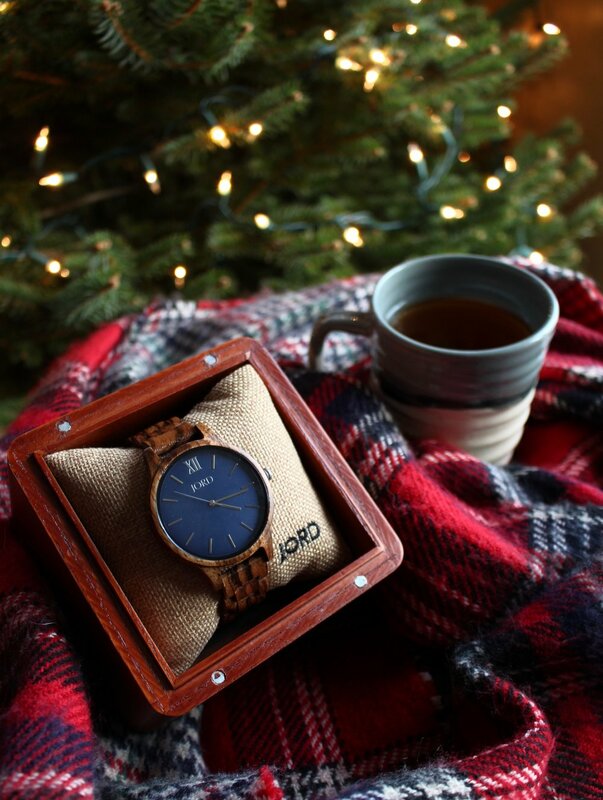 You can also click here to get a special discount code on JORD wood watches; valid until 12/15! A lovely person on Instagram showed me this Etsy shop and as soon as I clicked on it I fell in love. I think that I looked at every single piece of jewelry that is listed (you know, because what else have a I got to do with my time) and the two things that stuck out to me the most is this moon phase necklace and these various rings. Love!! There are so many different jewelry items to choose from that I'm almost certain that you can find something for that jewelry loving gal (or guy) in your life! I've had this diffuser for a little over a year, use it everyday, and still love it just as much a the day that I got it. I can find a reason each day to fill it up and let it spread whatever smell I want/need at the moment all throughout the room. Headache? Peppermint oil, please. Can't sleep? Give me the lavender! Have a cold? Eucalyptus now, now, now. Just want to smell something yummy? Lemongrass forever; for me at least! This is a perfect gift for anyone, literally! You might be thinking of that one person and be like, "nopeeee, there's no way Karen would use one." But trust me, I betcha Karen would use one. 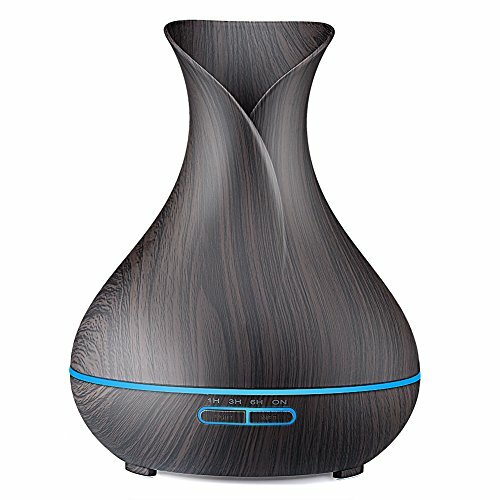 Bedrooms, offices, living rooms, bathrooms; diffusers can go anywhere and they're a much better idea than a candle, in my opinion, because you can use whatever smells you desire and don't have to worry about if it's the right scent. Less stress, more variety, even more happy! Click the photo to be taken to the diffuser! 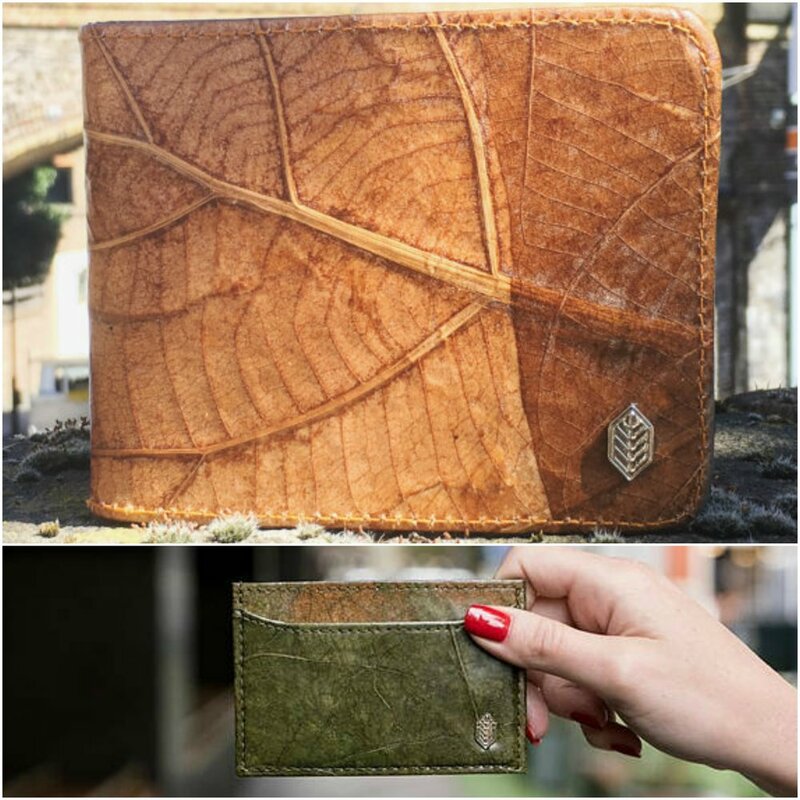 Thamon London, an Etsy shop that make wallets out of leaves. Yes, leaves. And it is SO COOL. Not only do they avoid using leather, their wallets look absolutely beautiful. I'm someone who just carries a wallet in my coat pocket or I just carry it in my hand depending on what I'm doing. Purses aren't really for me these days and carrying around a wallet like this would be something that I'd want to share with anyone who made even the faintest comment on it. Also, when you make a purchase for a new cruelty free wallet Thamon London donates 15% of revenues directly to the leaf harvesters in poor rural areas of South Asia. Sold! Find the leaf wallets here! I've been using Jade mats ever since I got "serious" about yoga. Their black Harmony mat was my introduction to quality mats that make my yoga practice flow much more gracefully. There are a couple of reasons that I've faithfully stuck with Jade for the past 4 years and recommend them to anyone looking to develop a consistent yoga practice. Jade mats are safe; they contain no synthetic rubbers, PVC, or anything else that you don't want your body to come into contact with on such a regular basis. Their mats are made in the USA which is huge for me because I'm always trying to buy more USA made products and getting to support that through my yoga practice feels so good. And they plant a tree for every yoga mat that they sell. Yay yoga! Yay health! Yay trees! If you have a yogi in your life who is in the market for a new mat, let's be real, that a lot of us - check out Jade mats. Mats are something that a lot of people who practice yoga tell me that they don't want to make the investment in but Jade mats are in a reasonable enough price range that the cost is well worth it for the amount of practice and satisfaction that you get from them! Have you ever tried to find a stainless steel water bottle that's made in the USA? Well if you have then you know my struggle. I've looked for one forever and finally found them. Liberty bottles. I don't have one yet but that will soon change. I ordered these for Christmas gifts (as well as one for myself because duh I had to) and if you're reading this and think that I might have bought one for you, nope you're wrong bye. But if you're not someone who I'm buying gifts for, then these bottles make the perfect gifts! The have so many different designs and even options to design your own. Reusable water bottles are becoming more popular these days, as they should be, and investing in a good quality one from a good company is the perfect gift for that eco friendly friend! A little over a year ago I received an email from someone who was a stranger at the time looking for advice on veganism. Fast forward to now and we are still emailing, but no longer just about veganism - about everything. Julie is a super talented artist who specializes in pastel pet drawings. She so kindly drew me a photo of Roxy (pictured above) and I love it so very much. I'm confident when I say that anyone who has a dog (or pet of any kind) would be so grateful to receive a custom drawing of their furry friend for the holidays. Check out more of Julie's work here and place an order today! I'm getting one of these for Christmas this year and saying I'm excited would be an under statement. I am SO EXCITED. Ease, convenience, creative cooking - sign me up! 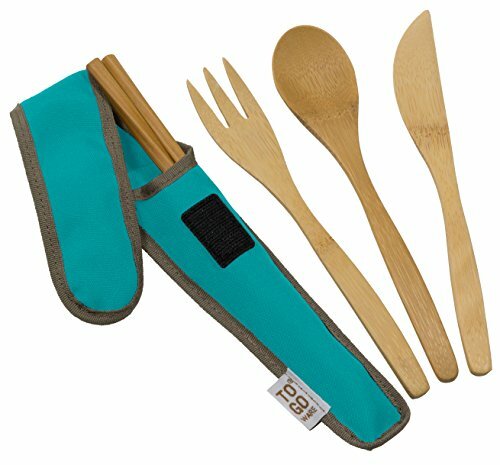 This would be a perfect gift for anyone who isn't that into cooking or lives a busy lifestyle. I'm not that big of a fan of cooking, seriously, so I'm super excited to get my hands on this and make meals that are delicious and effortless! 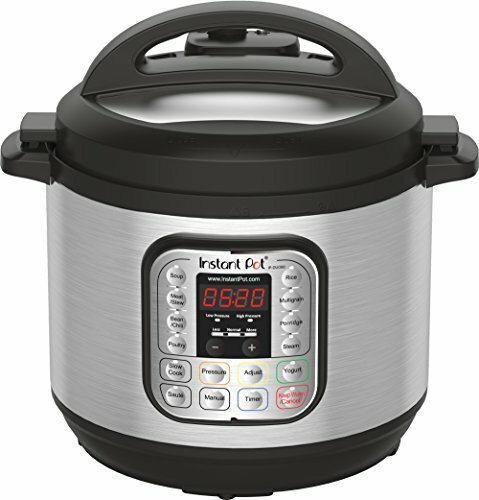 Click the photo to be taken to the Instapot! LUSH is my go-to for stocking stuffer/small gifts. Who doesn't love a sparkly, luscious bath bomb?! They also have pre-wrapped gift boxes with various themes that make shopping that much easier. No wrestling with wrapping paper and tape, yes please! If I could pick out something to get for Christmas from LUSH I'd go with the Wonderful Christmas Time package or the Snow Fairy package but truthfully I don't think you can go wrong with whatever one you'd pick! I like LUSH because they're very active in speaking out against animal testing and most of their products are vegan; everything is clearly labelled. Speaking of labels, everything at LUSH is handmade, if you want to spend an hour watching their products be made (it's so interesting) then check out these videos, and if you buy one of their packaged products you can see on the back who made it. So cool! 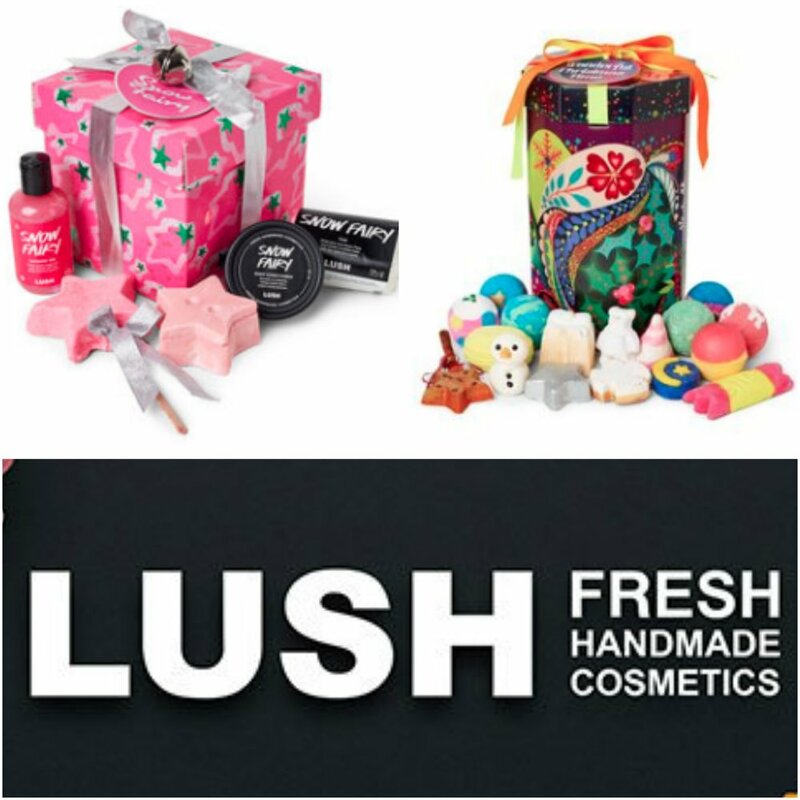 Check out more of LUSH's holiday products here. I think it's safe to say that this is my favorite book that I've read this year... twice... soon to be three times. I love it so, so much and each time I read it I take way something different. The pages in my copy are filled with highlighted paragraphs and little notes in the margins. It's that good, believe me. 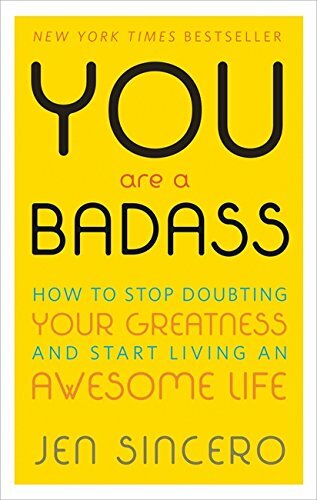 This book is perfect for the self help obsessed, universe/manifesting type, or just someone who's trying to figure out something big in their life. Check it out by clicking on the photo! I found these utensils in a little cafe when I was traveling and I knew that I needed them. They quickly became a staple product for me. I take them everywhere! On vacation, to Chipotle, to work, I keep them in my car for emergencies - they're really great for those of us who are aware of and trying to cut down on our plastic use or just for that on the go person who might forget utensils when getting takeout or eating at work. A great stocking stuffer or just a good gift for someone that you need to spend another $10 on, or just $10 period. Something really awesome about this brand is that the carrier is made from recycled plastic bottles. Love! Check out the utensils by clicking the photo. Not the most eco-friendly product in the world but one that is worth buying to me. I started using this toothbrush two years ago and anytime that I'm not using it (like on vacation) I can notice a huge difference and wonder how I survived beforehand. 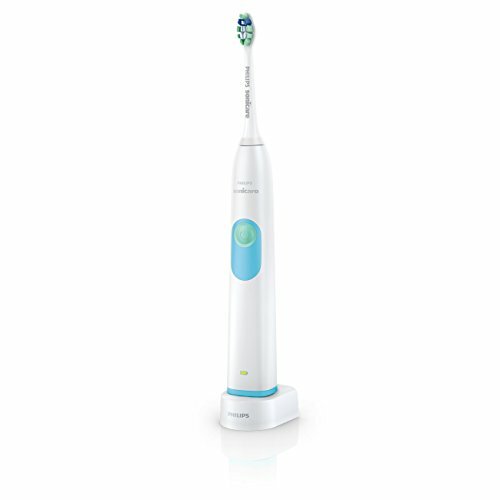 I got mine for Christmas and I was like, "Yep I'm getting an electric toothbrush for Christmas. I'm officially an adult." But after using it I was more like, "Oh my god, my teeth. So smooth. So clean. I must smile and show everyone how BEAUTIFUL my teeth are because of this toothbrush. Wow." So it's safe to say that I'm a huge supporter of buying the electric toothbrush for the ones you love because it will improve their quality of life like no other. Check out the toothbrush by clicking the photo! The holy blender. 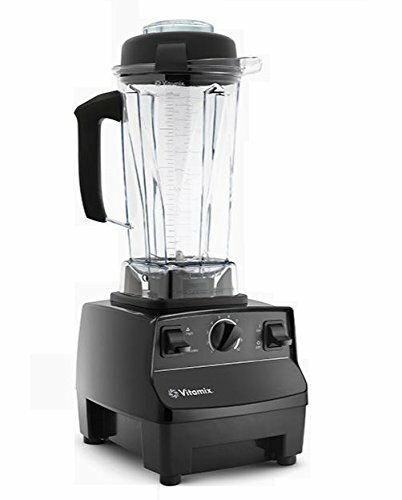 The blender of all blenders. The greatest gift to health enthusiasts everywhere. The Vitamix. I feel like I don't need to say much about this product. It's pretty well know and for good reasons. Made in the USA and with a fantastic warranty and customer service the large investment is completely worth it. I've had the same blender (this one) since 2013 and only had to send it back once which was probably more to the fault of myself than the actual blender. But I love it and I use it almost every day. It's a powerful blender, that's for sure. Just ask the copious amounts of nut butters I've made in it before I got my food processor or the glass straw that I blended up once on accident. RIP. Click the photo to check out the blender! Okay, before we talk about this product let me just say something. Everything I share on this site is vegan, yes. I know that beeswax isn't considered vegan but after extensive research I choose to buy products that use beeswax if they practice ethical beekeeping or source their beeswax from an ethical and sustainable place. With that being said, if you don't agree and but like the idea of this product I believe that there are resources out there where you can find a version of this that is made vegan. I found beeswax wraps in September. The ones I linked aren't the ones that I bought initially. But I did just place an order for this brand this morning as gifts. I never heard of them before that and now I wonder how that happened. But they're in my life now and that's what matters. These are a game changer in the kitchen. I haven't used plastic wrap for years now but I've just turned to using random lids that don't fit the bowl or depending on what it is, no lid at all. That's not that great of a way to live. I mean, sure it works. But why do it that way when there's a better way? I found them at a local pop up event and bought them. Instant attraction. I'll never go back to anything else. These are the perfect gift for that foodie who's always making leftovers or just spends a lot of time in the kitchen in general. I've wrapped up apples and other little snacks in mine to save for later and they sure do the trick! I have too many shoes as it is and I'm sure I'm not alone in this. But when you're trying to find a gift for that outdoorsy veg friend it can be stressful to decide what to get. They probably have everything, or at least that's always what we tell ourselves to add a little more pressure to the situation. My answer is always shoes. Go with shoes. They can only wear one pair at a time, yes. But shoes don't last forever and the more active you are, the more variety of shoes you have for different activities most likely. Shoes! Merrell has a fully vegan line of shoes. My hiking shoes are from their vegan line and they've saved me multiple times from falling down steep hillsides. 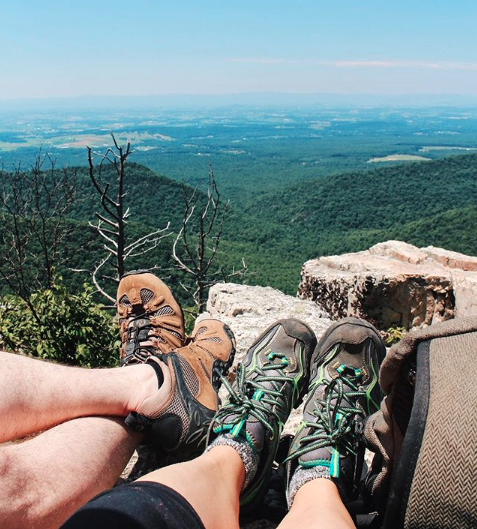 Shop Merrell's vegan line here! I typically only share raw or healthy recipes on here but I'm a huge fan of baking. I loved baking even in high school. I used to sell decorated sugar cookies for the holidays and I'd sell decorated cakes too. That is one thing that I absolutely love doing so much! In high school I got a KitchenAid mixer that I still use to this day and I don't know what I'd do without it. It's a bakers dream! Perfect for that person in your life who loves to bake but hasn't invested in a mixer like this. Check out the mixer here! Lux Naturals whipped shea butter gives me LIFE. I used to put this stuff on every time I found myself in the body care aisle at Whole Foods. Finally, Darrin got tired of me ranting and raving about a product that I didn't even own and bought me some. I use it every single day. It smells so good. It's so easy to put on and don't leave you feeling greasy like some skin care products do. I just love it so much. A great stocking stuffer or add on item for that girl (or guy) who needs a little bit of support during those rough winter months. No more cracked skin! Only soft, good smelling vibes when Lux is around. These are just a few sites and brands that I like to support because they're vegan, fair trade, ethical, cruelty free, sweatshop free, etc. Shop products that I use and love also through the "Shop" link at the top of the page! I hope that you've found something to gift that special someone in your life or at the very least found something to gift yourself! I wish you the best holiday season filled with lots of laugh, love, and stress free shopping! This post is sponsored by JORD watches. I received a free watch as compensation but all opinions and promotions of products are honest and based on my own experiences. These are products that I use personally, have purchased, or would/will purchase in the future.